With new, modern IT solutions being created every day, IT organizations are wise to evaluate all of their options. They wouldn’t want to miss out on any opportunities to become more flexible, agile, or save money, so they’re being proactive and monitoring new developments in IT. With this in mind, many organizations are questioning whether they should replace Windows® Server 2012. The real consideration revolving around replacing Windows Server 2012 has little do with upgrading it to Windows Server 2016, and more to do with new platforms. Many IT organizations are leveraging cloud infrastructure (e.g. AWS® Linux® servers), and web applications like G Suite™, Salesforce® and GitHub. Also contributing to the decline in Windows Server usage is the fact that cheaper file server options such as cloud storage (Box™ and Dropbox™) as well as NAS appliances and Samba file servers have emerged. So, Windows Server is simply in a place where many of its key functionalities have been replaced by non-Windows alternatives. However, despite all the replacements for Windows Server functions, one area that has historically been challenging to replace has been the domain controller and Active Directory®functionality has made it easier for IT admins to manage fleets of Windows systems. But, the biggest reason that IT organizations hold onto their aging, on-prem Windows Server 2012 implementation is that by getting rid of it they will no longer have an identity provider (IdP). Without that, it’s hard to manage anything. 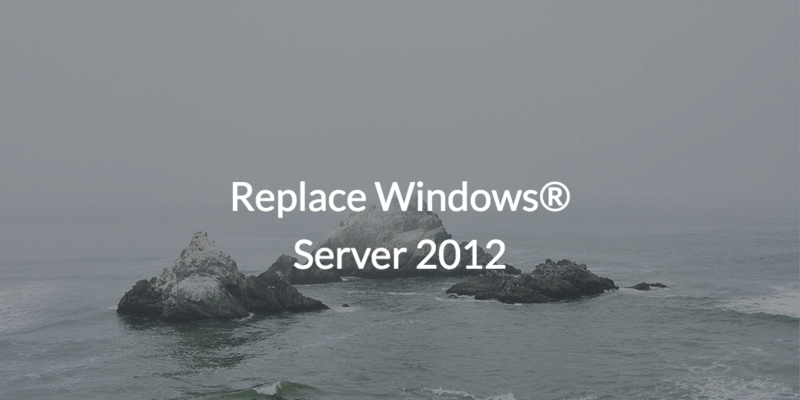 For those itching to replace Windows Server 2012, we have good news. There is a next generation of SaaS-based identity management solution emerging that can solve the identity provider problem. Called JumpCloud® Directory-as-a-Service®, this cloud directory can effectively replace Windows Server 2012 Active Directory functionality. As a platform-neutral solution, JumpCloud combines all the most frequently used aspects of Windows Server into one cloud-forward solution. Let’s talk about some of those key functionalities delivered by JumpCloud. By leveraging RADIUS, JumpCloud allows IT admins to secure their networks and stop being so reliant on shared SSID and password combinations, so users gain secure access to the network. 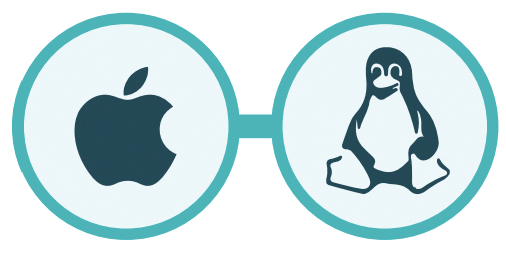 With regard to GPOs, JumpCloud enables IT admins to control fleets of Windows, Mac, and Linux systems via Policies. So you can now push Policies to individual users or groups of users regardless of the system they’re on. And, as an identity provider, JumpCloud can create its own identities and dole out access to them, or you can provision identities from G Suite™, Office 365™, or Workday™. So, as you can see, JumpCloud can not only effectively replace Windows Server 2012 functionality, but can also give you so much more. Now that a viable alternative can replace Windows Server 2012 for good, we realize you may have some questions. Feel free to drop us a line. If you want to see first-hand how a cloud-based directory service can help you get rid of that old Windows Server 2012 implementation, sign up today for a free account. 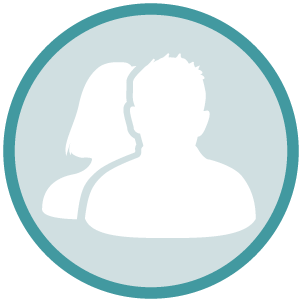 Our free account requires no credit card input and comes with 10 users that are free, forever. Consider visiting JumpCloud’s YouTube channel for helpful hints, informative whiteboard videos and more.